Put all the brining ingredients (except the pork) in a large saucepan. Bring to the boil. Remove from the heat and whisk vigorously until all the salt and sugar has dissolved. Chill the brine and then fully submerge the pork collar. Leave overnight. Place the marrowfat peas into a bowl. Add 10g of bicarbonate of soda and 1.5L of water. Mix well and leave at room temperature for 10 hours. Rinse well in cold water. Mix the peas with 1L of water and 8g of bicarbonate of soda. Place on a high heat and bring to the boil. Simmer for about 15 minutes until tender, skimming any excess skins from the top. Mash slightly with a fork. Add butter, Marmite, Worcestershire sauce and salt. Preheat oven to 220°C. 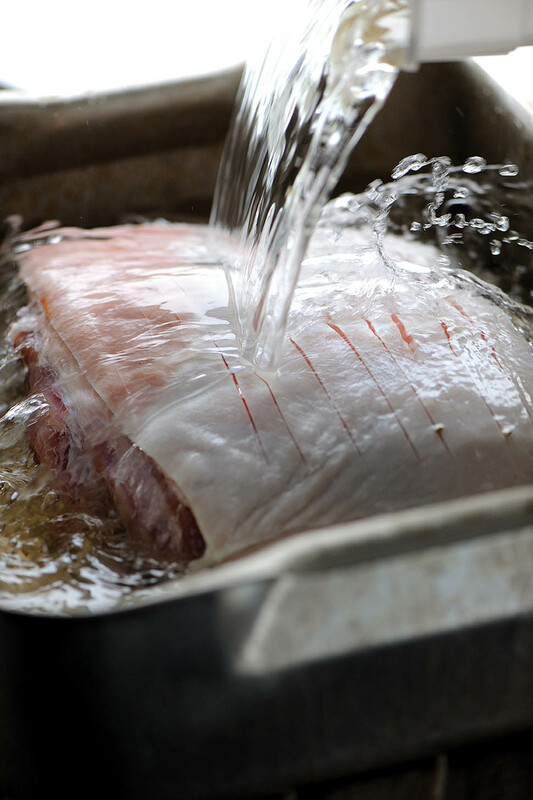 Remove the pork from the brine and rinse in fresh water. 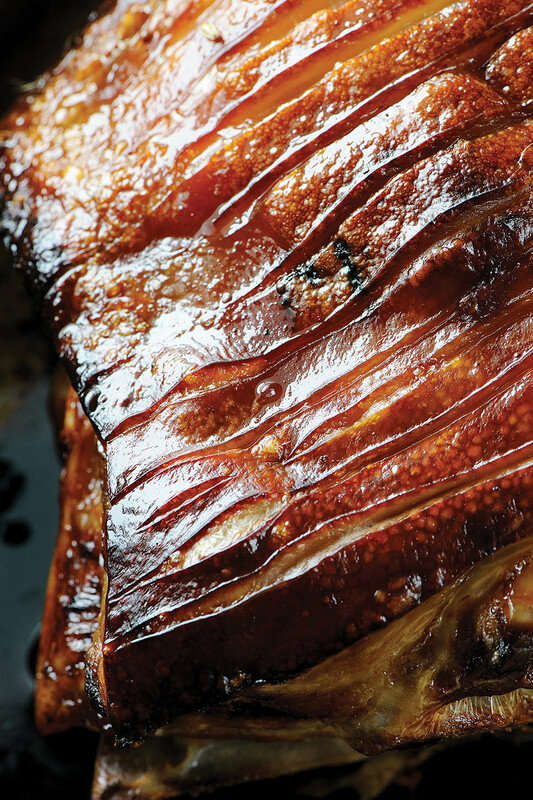 Place the pork in a large roasting tin and roast for the first 20 minutes. Lower the temperature to 180°C for a further 1 hour or until the internal temperature is at 66°C. Remove from the oven and rest for 30 minutes. Roughly chop the mint. Place it in a mortar and pestle along with the salt, sugar and vinegar. Combine all the ingredients.